This evening I accepted a call from Suzi Brown at Disneyland California Park. She confirmed that what was previously reported on our No More Guest Assistance Cards after 10/8/13 at WDW or DL . Both parks will be implementing the new system on 10/9/13. Cast Members start training on 09/24/13 for the DAP system. I know there are a lot of us who are apprehensive about these changes, and many fore see many pitfalls. We are being encouraged to discuss our specific needs and what accommodations we might need with the Cast Members when getting our wait times. I would like to add, that while this new system maybe frustrating, we should NEVER take our frustrations out on the Cast Members. We will be going to each park 10/9 through 10/11 to test this system and report back on how successful we feel it is, as well as provide recommendations for families with children on the spectrum on how to continue to have a successful trip to WDW. 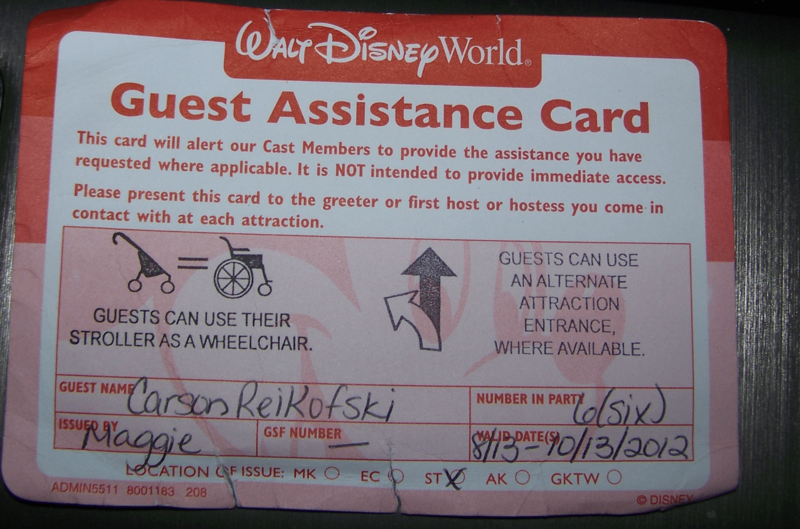 I know Disney is open to any suggestions guest will have about the Disabled Assistance Pass, which I hope includes the name. Disney is built on making magical memories for it’s guests, and while at first glance this new system seems to make a magical vacation difficult for those who are disabled, I am sure that if that is really the case, Disney will modify it to ensure all guests are experiencing the magic. Suzi Brown, Director, Media Relations and External Communications, Disneyland Resort, ensured me that Disney will listen to all the suggestions and feedback from guests. What do you think? Can we give a chance before we condemn it? I am personally struggling with accepting that this will work, I am willing to try it. And more than happy to report back if it is an ok solution or if it is as bad as all the commentors believe it will be. Disney has an unwavering commitment to making our experiences accessible to all Guests. After careful consideration, we will be replacing the Guest Assistance Card with the new Disability Access Service Card on Oct. 9 to create a more consistent experience for all our Guests while providing accommodations for Guests with disabilities. Until Oct. 9, we will continue to use Guest Assistance Cards. We look forward to sharing more information about the Disability Access Service Card as we get closer to implementation. [quote]After careful consideration, we will be replacing the Guest Assistance Card with the new Disability Access Service Card on Oct. 9 to create a more consistent experience for all our Guests while providing accommodations for Guests with disabilities. Until Oct. 9, we will continue to use Guest Assistance Cards. We look forward to sharing more information about the Disability Access Service Card as we get closer to implementation. How will the new program work? The Disability Access Service Card will offer Guests a return time for an attraction based on the current wait time. Guest Assistance Cards will continue to be in effect until Oct. 9. We look forward to sharing more information as we get closer to implementation. Did you ask for feedback in developing the Disability Access Service Card? We are engaging disability groups, and Autism Speaks was instrumental in providing feedback as we developed this new process. Given the increasing volume of requests we receive for special access to our attractions, we are changing our process beginning Oct. 9 so that it creates a more consistent experience for all our Guests while providing accommodations for Guests with disabilities. Who will be eligible for a Disability Access Service Card? Our goal is to accommodate Guests who aren’t able to wait in a conventional queue environment due to a disability (including non-apparent disabilities). Will Guests on wish trips also use Disability Access Service Cards? No. Guests who are visiting through wish-granting organizations will have access through a separate program. What should Guests do if they have concerns? I am a disabled Veteran and have no issues with shoring my VA Disability card. If anything you should be required to show at minimum proof without displaying the condition that you have a disability and that would cut down on the fraud. Bush Gardens out right ask you your condition which is against the law but you have to to get their assistance pass. If you don’t tell them then you don’t get it. They will give you a paper and if your disability goes against the ride your are getting on then they won’t let you ride it. They will however let you ride it if you wait in line like everyone else which negates the whole purpose. I have never gone back to Bush Gardens for that very discrimination and have no plans to return to Disney after this revelation and I have been there over 100 times, no lie, since I went with my mother when you had those ticket books. Neither me or my kids will step foot on Disney Property again. First let me say thank you for your service! My son is in the Army and is injured. His left leg no longer works and he requires the use of crutches to walk. I am worried about if he will ever be able to do Disney again. an update from mouseplanet includes quotes from disney reps. I commend you for your open-mindedness and willingness to try! I will probably have everyone yelling at me for saying that I think families with special needs are entitled to special accommodations to give them an equivalent experience as everyone else…… but not a special experience. Families without special needs kids have rotten days and meltdowns at Disney parks all the time because of the long waits. That said, I cannot even begin to understand what you go through every day, and I am happy to wait a few minutes longer at attractions if it helps make the day more bearable. Some of these changes have already been implemented into many of the popular rides, especially in the ADA compliant parks where the GAC was not supposed to be needed. When we went last year to Disneyland, we were given return passes for a specific time for many of the rides. I think the idea is to “weed out” the abusers, which in turn will make the lines more manageable again. I have 2 kids, one is special needs with heart and lung issues and wheelchair, the other high functioning autism, and we see what everyone is worried about, but honestly, we have been thru every program change Disneyland has tried to make over the years regarding GAC and the return pass was the easiest and most fair system they had put in place. I feel bad for the people who will be the guinea pigs next month, but I think as time goes on, Disney will change and update the system based on suggestions and many unique needs of our families. If you noticed, it said it consulted with Autism Speaks to help with the changes. Here is a Disney related FB page with posts concerning the changes in the GAC card. Some of them, to me, seem harsh, no understanding on their part of the struggles of children and adults that deal with autism and down’s syndrome. I hope the link works, if not, find DisneybyMark on FB, look for the post. boohoo? have you ever spent time with anyone with disabilities? and equal? when the playing field is already uneven, its a bit difficult to be considered equal – in all abilities; to hope for equal awareness, compassion and respect – thats what i hope for. We have a trip coming up and I am sick. Losing sleep sick. We have to plan our trips out and stay ahead of the game to make our trips work and so far they have. Having two ASD kids with polar opposite needs, one with a mixed bag of other DX and his own Service Dog this terrifies me greatly. I am clueless how this will even impact a SD. We have never had an issue by Disney or the public before while there. Our issues were our own related to our own needs. This has the ugliness to rear its head to cause strife to our situation. It was the magic and ease of the GAC that made us not feel ‘different’ but safe that it was ok to vacation. To make the extra steps or even the day harder on our family would put us in the position to cause worry. We were about to add on points to our DVC. It is the only place we go. Our kids know it, they love it. This very thing might just cause us to sell DVC at a very good steal. I hope if Autism Speaks is having a voice for our kids that they take into consideration every single child that is not having a chance to be there in that room to share their own voice, need, help, melts, etc. AS gets a lot of flack for their donations and services. I surely hope this is the one time they do prove true and do just what their name says “Autism SPEAKS” … if your going to speak for my children then please speak for them correctly. Do not speak this program as it is written above, kiosk to kiosk, transition to transition which you do not advocate for those who struggle etc…. I do the yearly walks, educational fairs, the puzzle donations and so on. I do everything I can. We have to be the best for these kids, together. With your positive voice and the parents speaking for their kids needs there will be a positive outcome. No one shoe fits all. Otherwise Autism Speaks does not Speak for Me. we have all ready posed a question to Disney regarding SD, and the response I got back: “I don’t know the answer, but I’m sure it is being considered. I will forward it to the people working most closely with the program, and let you know when I get an answer.” I will update you when I know more. Disney… I am in disbelief of what you have chosen to do, by taking away the Guest Assistance Service Card….. Mr. Walt Disney’s dream was to open his park for all children, of all abilities, to allow them to smile, laugh and enjoy a piece of that Disney “pixie dust” magic for the day, to forget about all those things, such as health issues and disabilities. The Guest assistance pass, allowed some families to visit the park with their loved one, who other wise would not be able too, with out the Guest Pass service. to wait in lines, every minute is precious. Our son, Micheal had the wonderful opportunity to visit California’s Disney Land park at the age of 6 years. This was his first and sadly his last visit, to Disney, he later passed away. His health was poor for he had a rare brain cancer. With out this Guest card assistance service, he would have never had the chance to get on rides, for the lines were too long for us to stand in while keeping his body cool and rested. Even with the guest pass he became too tired to wait in the line, and at times became over heated. Unfortunately, the service change you mention to take place as of October 2013 ” to wait and come back” Service, doesn’t really assist families with any thing? In fact you already have this service active for all families, I don’t see how you think this new service will assist families needing the assistance?. This new service you have set up would have not worked for us, when we took our son Michael to Disney, for there is small windows of time available for families such as mine, who need that service you had set up, just for this reason. With out the Guest pass service, I know we would have not been able to see and go on two rides with our son, for the whole time we were there. Having the Guest Pass service, we were able to have our sweet son, see and enjoy your park and ride five of your theme rides. Having this assistance helped us manage the time needed to see the park, with him, I wanted to also let you know, this trip was the happiest days of his life. I have special memories and pictures of his happiest times at the park. Your choice in this matter clearly changes peoples lives, from having the ability to enjoy the time of their life, to not being able too. I am afraid this is not a good choice, you have come up with, I think you should reconsider your decision. I am confused, the way you have it now seems to work out well, so why is it, you need to make this change? Maybe you should speak to the families who have walked the walk and come up with a better solution rather then take away something you had going well for these families? My suggestion: Is to have the child/person’s Dr. write a note or letter to the park in order to receive the card. This is a simple solution to keeping this service to families who may need this service, I am sure other families who are fortunate enough to have healthy children would agree to help the other families who have daily challenges. Please, just don’t do away with the current guest Assistance Service Pass, I am positive, Mr. Walt Disney would not agree with your decision. I would be happy to be one of those parents on your board for helping with making any future decisions in your Guest service passes for families in need of this assistance. you are in my thoughts; and I am sorry for your loss of your precious child. I agree with you 200% and hope whoever sponsors this site gets these ‘letters’ and comments over to Disney officials..We are the real people with the Specially gifted kids; not some scammers and hopefully our voices will count…True=one size does not fit all; however they can make a better attempt. The Doctor’s note was my thought as well;there will always be abusers of the system. They should be caught, punished and possibly ‘flogged’ in public.. here’s hoping to a better world of understanding people.. I actually think this is a better alternative to the past. It appears that specific issues can be addressed at Guest Relations. My daughter is missing half of her heart and has a seizure disorder. Heat is a huge issue and so is fatigue- obviously. She- outwardly- doesn’t look disabled and her wheelchair is a Cordova- which looks like a stroller. We had several Cast Members and guests at Disney ridicule us and her for having the other card. I have no problem telling people what is going on and why we need the extra care *if* they ask for a legitimate purpose. Perhaps this will help deter that kind of behavior? A chance to come back after resting in an ACed area is fine with this momma. I also don’t mind the name. Lorelei is disabled. It is what it is. We were at Disneyland last week with this in place. You can ONLY get these for a few rides. The rest there is no safe queue or anything! you just wait in line, which resulted in my daughter sustaining a broken leg. Nothing offered to keep kids with wheelchairs safe in line. And my kid does not tolerate the direct sunlight so the long line in the sun also caused issues. What Disney is missing is the same dishonest people will also abuse this system. Instead of creating a bigger mess, keep the GAC, but attach a photo to the GAC. If the person on the GAC is not riding, do not honor the GAC. Limit the number of people who can be with the disabled person (IE 6 immediate family). Use return passes when lines are long BUT give them out AT the ride (like they do currently at DCA). Crooked people will abuse any system. Penalizing disabled kids will not stop crooked people. I am very saddened by some of the changes. The first is the name of the program. My teenager is on the spectrum with a few other issues mixed in, like most Autistic children. I have spent years telling him he is not disabled, he just requires a different way. We travel to Disney multiple times throughout the year and now he will have Disney telling him he is disabled. We also spend no more than three hours int the park at a time. He has a routine for each park and he leads the way before we head back to the hotel. It appears to me that Disney is making the changes based on those who abuse the gac and not talking to those people who plan their day based on the program. I am certainly extremely concerned as this will have a direct effect on my 2 nephews ability to visit the parks (1 is Autistic and the other has Asperger’s). Both are near claustrophobic when standing in a line with little room to move and very easily sensory overstimulated and overheated (which is why we go in Jan/Feb usually). I had written Disney about the proposed changes (in a very nice way) to remind them that not every disability is one that can be seen and what the GAC program (assuming it’s properly utilized) meant to families like this. With all the abuse that has happened, I know that realistically changes are needed…. and unfortunately, I doubt that the first attempt at change will meet all needs BUT I also have to believe that with proper, constructive feedback of what is working AND what isn’t working a middle ground will be met. Unfortunately I’m sure that in the mean time a number of people (including my family) may not have the experience we have had in the past initially. Hopefully this transition & adjustments to the new system can be evaluated on a ongoing basis to improve everyone’s experience. Unfortunately the ease that gac was given out has cause the issu. Not all spectrum kids need it but many thought well might as well get one. Also there are so many disability needs and types. Not just spectrum. What are they going to do for the deaf or blind ? I am with you on this 110% I can not stand the new name! I will most likely not renew my 4 premium annual passes. We are in and out of the park in less than 2 hours. My son has a set routine, he even leads the way. He will not understand going to a kiosk and possibly waiting an hour to go on his first ride after getting into the park. Sad. Disney was such a magical place for him. It no longer will be. we JUST renewed our 4 premium annual passes and don’t usually do more than 2 – 3 hours at a park at a time and we plan out our trip before we even leave the house. My question for those who can’t stand heat and waiting in lines is, isn’t it hit walking around the park?? Many queues are in shade or AC. How do you handle Animal Kingdom which always feels 10 degrees hotter than the other parks? I can only respond for my family, but we rarely go to AK during the summer, we wait until fall when the temps are better. When we go in the heat, we go to ONE ride, the safari. That is it. Then home. He can’t do more than that. During the fall and winter it allows for us to do more there, but even then because that park is so much bigger and spread out, we only really get to do one area at each visit. 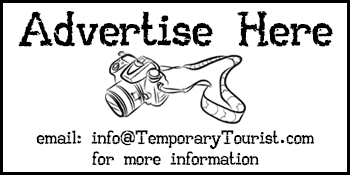 Heat is a huge issue for us, and we normally only travel to WDW in the Fall/Winter. We spend a lot of time going in and out of shops to cool my son off until he cools down. We rarely walk past a shop if the temperature is over 80 degrees. Aunesty, the way I read what you have said in both posts, this not only does NOT level the playing field, it makes the kids wait LONGER in a total of 2 lines per ride. I believe you said that people needing this assistance will need to go to a kiosk that may or may not be by the ride to get a time that is based on the current standby time minus 10-15 minutes travel time. Then, at the noted time, they will go to the FP line. If that is so, these kids will be waiting longer. Say, for instance, that my son wants to ride Toy Story Mania at Hollywood Studios. When we get to the kiosk, the standby line is 90 minutes, so the noted time is 75 minutes. Then, when we get to Toy Story Mania, the FP line is 30 minutes long. For a total of a 15 minute LONGER wait. It would be fair if they did the return time for the standby time minus travel time minus FP line time. That would be more equitable if that is what Disney intends. Does that make sense? We have multiple issues that we deal with, including Autism, and this will definitely not work for us. About this statement, “Autism Speaks was instrumental in providing feedback as we developed this new process.” I can’t believe that Autism Speaks would think that longer waits and twice as many lines would be a great idea for kids on the Autism Spectrum. I understand exactly what you are saying, and I agree with it… I am going to test it out though and see exactly how it is going to work…. ed Autism Speaks was directly involved with the ok of this system. Autism Speaks is a real crock of cr.. 2 extremely wealthy grandpaeents in high p r places make noise..I would like to see their financial records as to how much actually goes to research for the masses… even their daughter is not very happy with them….they are not for the layperson’s needs…. there are other org.’s out there that are worth the time; but this is not one of them.For this instance Grandpa can afford a special behind the scenes VIP tour ; so what does he care that we have to wait with children who do not understand… Gee I wonder what Walt would do??? wwWd??? It’s not Autism Speaks choice what Disney changes. They can give their input, but that’s about it. All the forums I’ve read everybody hates Disney now. You are all afraid of the new system. You were given the perk to skip to the front of the line and now you may have to wait 15 minutes so Disney is so terrible. What is terrible is that people claim that want EQUAL treatment unless it involves waiting in line at Disney. I have to say, I have extreme doubts this will work! I see a total disaster for special needs. What is going to keep this system from being abused? What’s going to keep people without special needs getting this new card, you know, the ones that have ruined the GAC for ones who do need it? We are going in October, first day in park will be the 8th. Yay for us (sarcasm). The procedure is just not thought out. I hope Disney will reconsider this plan. Totally agree with you, I’m in a very similar situation myself. We travel from the UK, this year will be our 7th straight trip to WDW. It has cost us £10000 which is around $15000. When I was telling my husband about the changes he told me to stop, he couldn’t hear any more. He said he just does not want to go any more. These kids on the spectrum do not understand that they cant go on the attraction they want to til a certain time..it is very hard with transitions and to go to the attraction and can not ride til we come back at a certain time is just as bad as waiting in long lines for these children on the spectrum of disabilities…. this is going to be a HUGE deal-breaker in deciding our next trip- we had a horrible experience this past august with the current gac system (the fastpass lines were outrageously backed up & not any different than the standby really when it came down to it) having to wait in line to get a return time to wait in line en masse & then on top of it we were repeatedly turned away for repeate ride-breakdowns once we got up to the loading point which caused a whole NEW problem with our spectrum kiddos- one came to the conclusion that the rides were no longer safe & could NOT be convinced otherwise after having 4 rides in a row go down on him +monorail-as a result he would not leave the room for 3 days straight & developed an overwhelming fear of heights after thinking about what might happen if he got stuck on btm or space mtn & how he would get down/out, how long he might be stuck in the dark etc-he went from riding literally anything in the park to being afraid of even its a small world…I went to guest relations over this issue, & another where we were stuck in the center of the test track queue for an extended period under the outdoor track (45minutes waiting there)& we couldnt leave-those around us refused to let us out without issue as they just KNEW we were trying to cut the line inspite of our attempt at explanation-my usually perceived as high functioner went from high to low functioning (attracting stares which is a HUGE trigger for him on top of the existing loud noise that even a headset couldnt drown out) it was the worst experience we’ve ever had at disney & they have YET to followup with my written complaints regarding the entire trip experience. I doubt seriously they have taken much more into consideration with this new program being that it appears to openly leave out sensory/spectrum type disabilities- throwing everyone into repeated “Waits” in lines over & beyond what the usual patron waits in is beyond ludicrous & uncalled for & does NOT result in equal experience for all. Tossing a spectrum family into the outrageous fastpass line crowd is potentialy harmful not only to those on the spectrum but very dangerous for those who must wait in the same area with them-people are rarely understanding in a general public situation much less being made to wait shoulder to shoulder. Our family had been saving for trips each year & had managed to go every year since our triplets turned 5, but now we will have to find something else. The traumatic experiences & the resulting problems we have had from this past trip coupled with blatant oversight of the spectrum in this new system just will render a trip to disney totally not costeffective. My question is, have we heard the same confirmation from Kim Prunty or one of her reports for WDW? Suzi Brown, confirmed for WDW as well. Not enough information for families who need to plan around their children’s disabilities for upcoming trips. We need more information Disney. I understand what Shelly is saying, my daughter is the same. She has Lennox Gestaut Syndrome with Intractable Epilepsy, along with other disabilities. She does horrible in lines and heat, she has all energy zapped quickly and seizures increase. We are not going with the Make A Wish Foundation, we did do that in the past many years ago, she cannot get a 2nd wish but still has all the same conditions she had back then, but now worse due to puberty. I’m really concerned about how this will affect the trip which was planned for her. Not just worried about some of the attractions but also viewing spots for shows because she is registered with the NJ Commission for the Blind and also how long a wait it will be to see her favorite character Mickey Mouse. I wouldn’t worry. To see Mickey is rarely a long wait and you can actually bypass the line entirely by using fast-pass+. They have fast-passes now for shows, parades and, character meetings! Also, I’m sure this new system will not involve any long lines for those who can not use them. Disney has always accommodated and they always will. The new system IS NOT to make things harder on Guests with disabilities, but rather to cut down on the extreme amount of Guests who fake special needs to cut lines. Also, if overheating triggers the problems, there are many cool places to wait and still have fun and we also can bring you unlimited ice-water. Just ask any CM for assistance! It is easy to get scared off by changes in policy, but remember, Disney is one of the few companies in the world that actually cares about their Guests. Speaking as a Cast Member, I can say there is nothing the 66,000 of us working in WDW won’t do to make your visit Magical! IF there are long lines at the kiosks. She’ll still be able to wait somewhere cool until return time though. What does this mean for the rides that do NOT have the return pass? No alternate queue? Will Disney take responsibility for injuries sustained because they removed the safe (not front of line) access? For the ones that do have the pass it sounds like our day will be go to a Kiosk… wait in line…. go to a ride…. wait in line….. go to a Kiosk…. wait in line….. go to a ride….. wait in line….. repeat…. thus wasting a LOT of extra time. They are removing 15 min from the wait time, but the reality is the trip to any from a Kiosk, with a child in a wheelchair, may take 20 or 30 min PLUS you then wait in the FP line (which can be 30 minutes itself) meaning much longer waits between rides for the most fragile kids in the park. If I am reading this correctly, it sounds like it will be a “fastpass” of sorts for every ride that you could usually get right up front for people with disabilities so they can accommodate them at a later time without letting them cut lines. Does that make sense? So, instead of cutting in line because you can’t wait, you come back at your assigned time and they’ll let you cut in then. I’m not saying that’s how it’s going to work, it just sounds that way. As long as the staff members let you right in at your assigned time and your assigned time isn’t hours later, it sounds like it just might work!